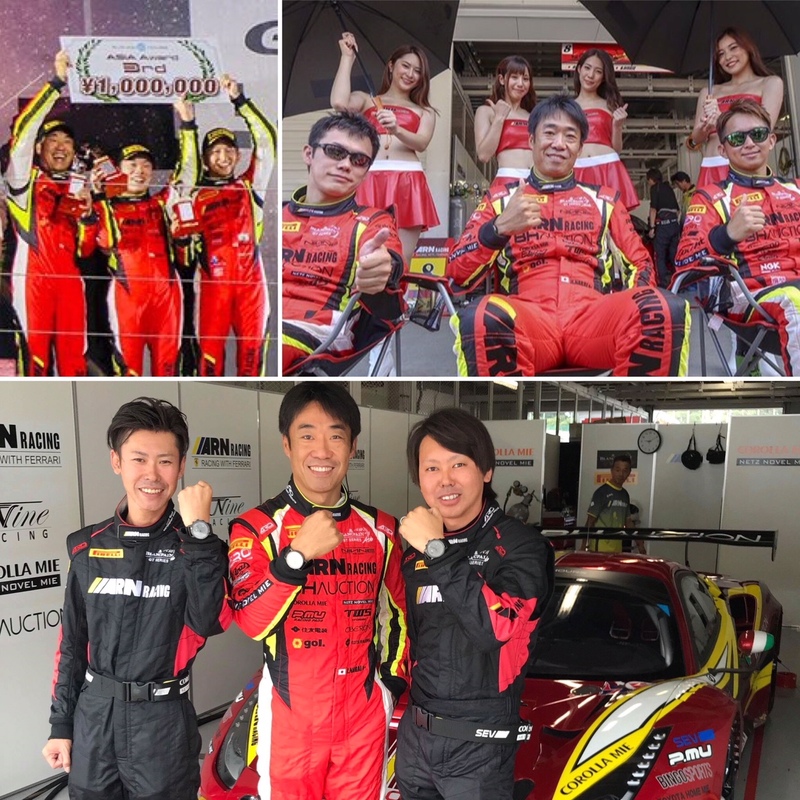 Together with the Japanese GT racing Team of ARN Racing we are now in Japan! 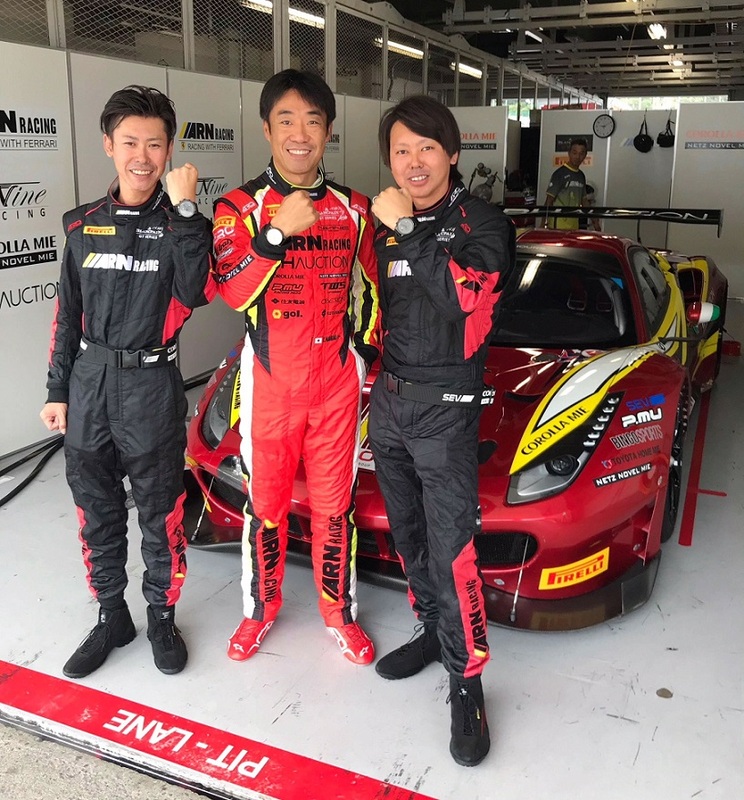 The driver Hiroaki Nagai in his Ferrari 488 GT3 with mechanics Yuya and Tadahiko Sahashi. 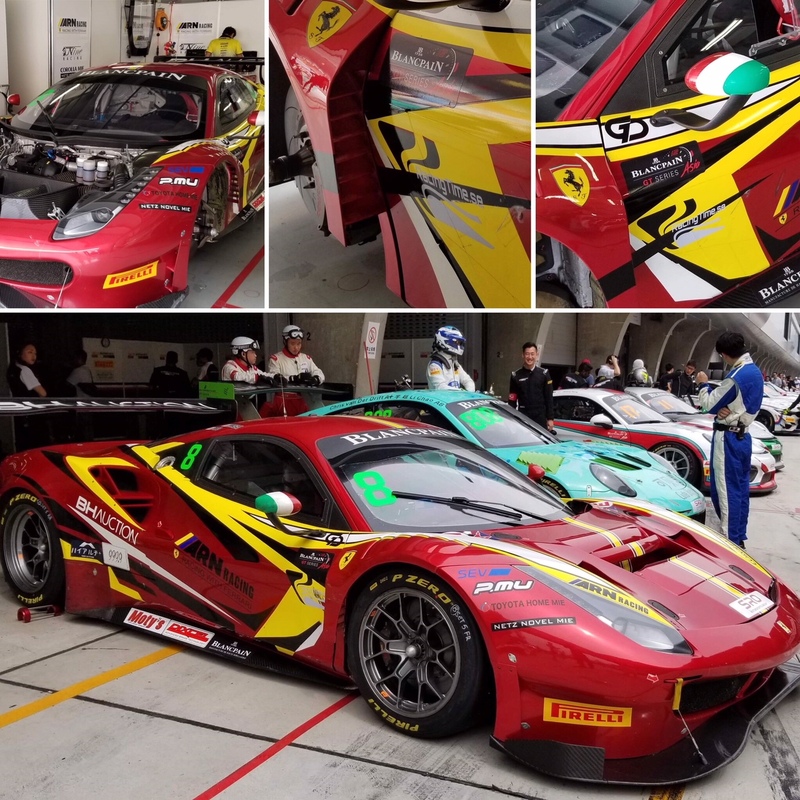 The First race was the Suzuka Circuit 10Hour race in the Blancpain GT-series Asia and they scored podium. We are happy about this coorperation and wish the ARN Racing team best of luck for coming races.